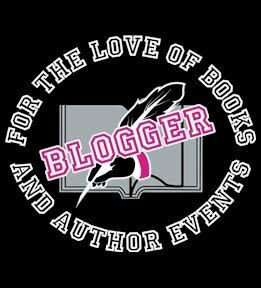 Book Blogger; Posts related to books of most any genre; any type of post considered except reviews; these include blitzs, tours, cover reveals, sales and anything along these line; willing to consider do posts non-book related. The entire world is on the brink of finding out that nightmares are real. An army of demons known as the Noctis is growing in strength. They control all manner of foul beasts and if not stopped soon, cities will burn, lives will end, and hope will be lost. The only thing standing in the way are the Journeymen; humans and supernatural beings united against the darkness. There is one known amongst men and the supernatural alike that you don't f**k with; unless it's on his terms. His name is Gage Crosse and he's the best damn Journeyman around. Author Note: The book is not a standalone; the series is written with one overarching plot; each book is like an episode of a TV miniseries. Seal of Solomon, Journeyman #2, expected October 2016. Golden Czermak began as an internationally published modeling/fitness photographer and eventually began working as a book cover model as well. Having been in the industry for at least four years, he has interfaced and networked with countless authors and other clients. As part of his work as a photographer, he worked with them to create book cover images - now numbering well over 250. Learning the ins and out of the book world, along with being an avid reader and storyteller himself, Golden finally decided to write and publish his first book, Homeward Bound, in 2016. Stephanie has read 7 books toward her goal of 50 books.